Cyndi's List has been a trusted genealogy research site for more than 18 years.Cyndi's List is free for everyone to use and it is meant to be your starting point when researching online. What exactly is Cyndi's List? A categorized & cross-referenced index to genealogical resources on the Internet. 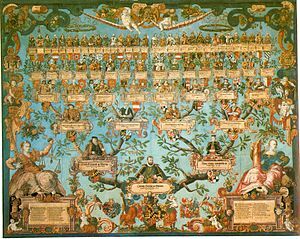 A list of links that point you to genealogical research sites online. A free jumping-off point for you to use in your online research. A "card catalog" to the genealogical collection in the immense library that is the Internet. Your genealogical research portal onto the Internet.